The 100,000 Homes Campaign is a national movement of change agents working together to house 100,000 vulnerable and chronically homeless individuals and families by July of 2014. 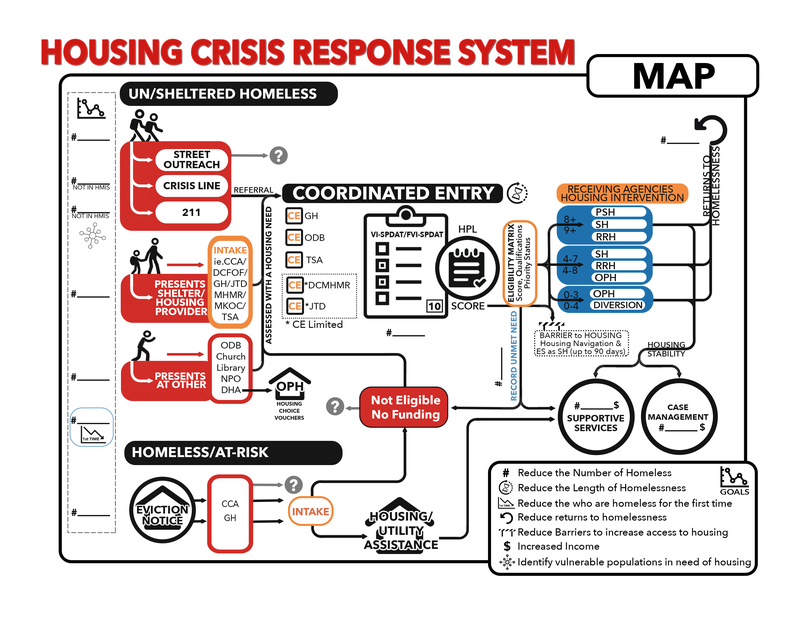 It serves as a supportive hub for people who are serious about transforming our public systems and permanently altering America’s response to homelessness. Participating communities and organizations focus on those who have been homeless the longest and face life threatening health conditions. As of July, 100,000 Homes Campaign had helped place over 105,580 chronically homeless individuals into housing. This year the Denton community is joining the campaign in an effort to continue the amazing work that has already been accomplished in other cities across the country. For National Hunger and Homelessness Awareness week, several community organizations and partners are planning a weeklong effort to identify people in Denton who are experiencing chronic homelessness and are most vulnerable for dying on the streets. The goal of the Denton Registry Week is to create a registry of people living on the streets and in shelters in Denton and identify the 5 most vulnerable individuals. Once we have identified these individuals, we will place them into an apartment where their rent has been paid for 12 months and enroll them in case management and other services where they will be working for the next year to create a sustainable plan for their future housing and medical needs. Volunteers will go out into the community for three consecutive days during early morning hours in order to conduct surveys. The data and findings from the survey will be presented to the community on Friday, November 21, 2014. Other ways to help: You or your business can donate money, items from our needs list, items from the 100,000 Homes Target registry, or gently used furniture items (no matresses please). November 21, 2014 – Community Briefing 11:30a-1p: The data and findings from the survey will be presented to the community. All are invited.